The new 2018 International CRAG PhD Positions are now available to study in Spain. The program welcomes applications from motivated national and international students. 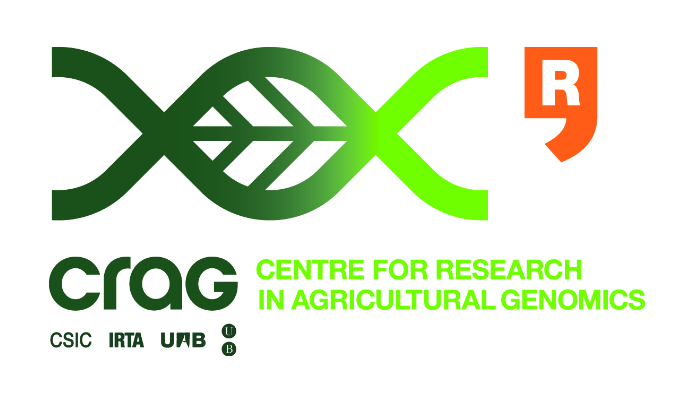 The Center for Research in Agricultural Genomics (CRAG) is an independent organization established as a Consortium of four main research institutions: the Spanish National Research Council (CSIC), Institute of Agrifood Research and Technology (IRTA), Autonomous University of Barcelona (UAB), and University of Barcelona (UB). The doctoral program is in English. Therefore, a good knowledge of English is absolutely required. We encourage candidates to support the application with scores of internationally valid language exams like TOEFL or other tests. However, they are not mandatory: a verifiable education in English or a reasonably long stay in an English speaking country are also convincing. Course Level: These positions are available to pursue the PhD programme. Study Subject: The Doctoral program of the Center for Research in Agricultural Genomics (CRAG) hosts students interested in the areas of plant biology and biotechnology, and plant and farm animal genomics and genetics. Scholarship Award: This four-year PhD grant is funded by the “National Programme for the Promotion of Talent and its Employability 2018” from the Spanish Ministry of Science, Innovation and Universities. Number of Scholarships: Up to six scholarships are available. Candidates are selected exclusively on merit, on the basis of their curriculum. Academic grades and the curriculum of applicants are evaluated, as well as reference letters and a motivation letter. No selection criteria for positive or negative discrimination are applied. Candidates cannot be in possession of a PhD Degree. Candidates cannot have been hired as predoctoral students for more than 12 months before the start of the PhD Program. Candidates cannot have started a pre-doctoral fellowship funded by the Spanish “Plan Estatal de Investigación, Desarrollo e Innovación Tecnológica” or any previous “Plan Nacional”. English Language Requirements: The doctoral program is in English. Therefore, a good knowledge of English is absolutely required. We encourage candidates to support the application with scores of internationally valid language exams like TOEFL or other tests. However, they are not mandatory: a verifiable education in English or a reasonably long stay in an English speaking country are also convincing. How to Apply: Applicants should send the application materials directly to the Principal Investigator of the project or projects they are interested in. A scanned copy of the student’s certified Academic Record, including a detailed record of study/transcript (a list of attended courses and corresponding grades): these documents must show the grades attained in exam periods.